The KickStarter iOS app is pretty awesome. 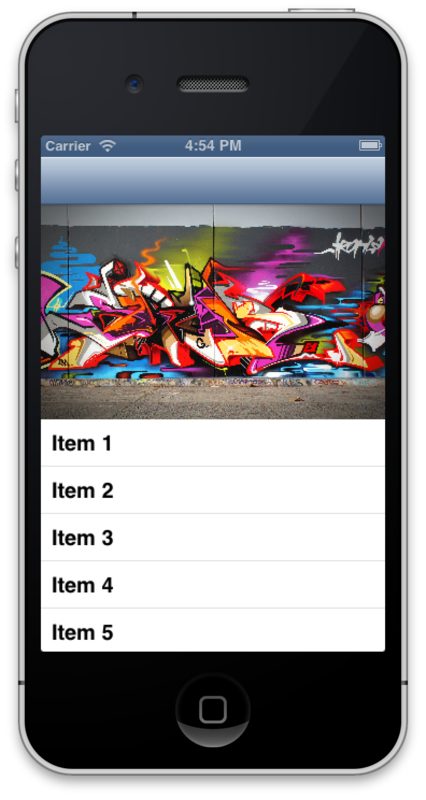 In particular, I like the bounce/zoom effect they have when you pull down on a UITableView. Turns out, it’s pretty easy to replicate. Since UITableView inherits from UIScrollView, we can simply implement the scrollViewDidScroll delegate method and detect when a scroll happens. From there, we just scale the tableHeaderView accordingly. Simple. I’ve added a sample project to my github. Enjoy! Any idea on how to do this by modifying autolayout constraints?